The PokerStars North American Poker Tour (NAPT) will make its third stop this month when it visits Mohegan Sun in Uncasville, Connecticut. 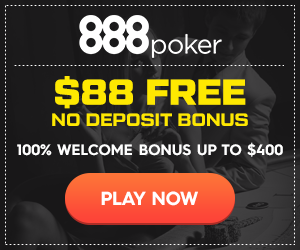 The 16-day poker event will consist of 37 tournaments, including a $25,600 two-day High Roller Bounty Shootout that will attract the biggest names in the game. The High Roller Shootout will get underway with Round 1 on Monday, April 12, with the winners of the first nine-player table advancing to the winner-take-all final table on April 13. Each finalist will receive $50,000 for winning the first table and the remainder of the prize money will go to the winner. In addition, players will collect a $5,000 bounty every time they knock out an opponent. PokerStars is also adding a seat into the next High Roller Bounty Shootout for the player who collects the most bounties. Among those expected to participate are Team PokerStars Pro members Joe Cada, Vanessa Rousso, Chad Brown, Chris Moneymaker, Greg Raymer, and Daniel Negreanu. Poker pro Ashton “theASHMAN103” Griffin won the first ever $25,600 NAPT High Roller Bounty Shootout at the Venetian in Las Vegas last month. Griffin bested a tough field of pros, including former Main Event Champion Peter Eastgate, DoylesRoom pro Hoyt Corkins, Faraz “The-Toilet” Jaka, Brett Richey, and Scott Seiver at the final table to earn a $460,000 payday. Seiver earned $100,000 for collecting the most number of bounties in the tournament. Mohegan Sun has scheduled a special $5,250 super-satellite qualifying tournament at Noon on Sunday, April 11 for anyone interested in playing the High Roller Bounty Shootout. PokerStars is guaranteeing 10 $25,600 entries as prizes in this super-satellite, with two entries added to the prize pool. At least one in five entrants are guaranteed to win their way to the High Roller Bounty Shootout through this super-satellite. The NAPT Mohegan Sun begins on Saturday, March 27, with a $600 No Limit Hold’em Deep Stack event. Other preliminary events include a $300 “Ladies only” tournament and a $1,100 buy-in tournament with a $200,000 guaranteed prize pool. The featured $5,000 Main Event takes place April 7 to 11, with PokerStars expecting more than 600 players. The first NAPT stop was the PokerStars Caribbean Adventure in January, which saw Florida’s Harrison Gimbel win the Main Event for $2.2 million. Tom Marchese from New Jersey claimed victory in the NAPT Venetian Main Event in February for $827,648. The High Roller Bounty Shootout and the Main Event at Mohegan Sun will be filmed by ESPN, as the network plans to air four hours of coverage on ESPN2. Joanna Krupa of “Dancing with the Stars” fame will host the broadcast.